The Greater Decatur Chorale is made up of 70+ adults who enjoy singing and sharing their talents with the community. Directed by Ted Hesse and accompanied by Anita Gifford, the group performs throughout the area, including area parks and festivals. To join this amazing ensemble, see audition info below. All are welcome! A new semester begins August 26! Note: To audition, please prepare a song of your choice and bring along a tape or CD for accompaniment if you wish. For an appointment, call Ms. Marie at 421-6648 X1. 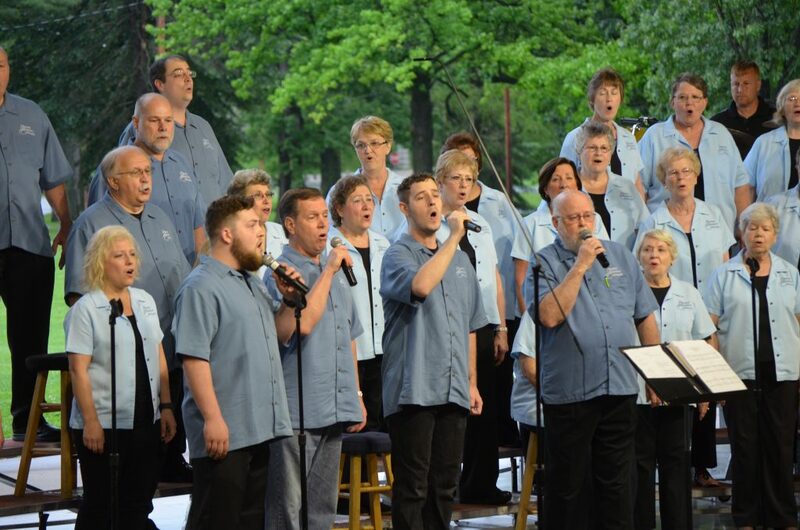 Picnic in the park and enjoy music A Sentimental Journey by the Greater Decatur Chorale! Directed by Ted Hesse and accompanied by Anita Gifford the Chorale celebrates over 33 years of wonderful music in 2019 and features over 70 talented vocalists. A Sentimental Journey will feature favorites including our title song, Sentimental Journey, A Tribute to the Everly Brothers, James Taylor Unplugged, Blues in the Night, The Best of Neil Diamond, A Stephen Foster Tribute and A Choral Cavalcade of Big Band Favorites! Special guests include Millikin’s Chrildren Choir directed by Christine smith ! This event is free and open to the public. Concessions and hot grills for cooking will be available at 5 p.m. The Greater Decatur Chorale shares a passion for choral music with our community through performance, education, and public outreach. The Greater Decatur Chorale has a heritage dating back to 1985 when it performed under the direction of Steve McClarey. Since then, the group has been directed by Jim Collins, Robert Teel, Brian Downen, Robert Hills, Ted Hesse, Christopher Thomas, Jonathan Saeger, Michael Engelhardt, Jason Garrett, Cyndi Johnson and the return of Ted Hesse. Accompanists have included Julie McClarey, Karen Neece and, since 2001, Anita Gifford. We are thankful for the ongoing support of WAND- TV and many generous individual donors! The Chorale features two events annually, offering a formal performance in January and free concerts in the parks in the spring. Auditions are held in August and January for the winter and spring sessions. Besides its annual concert schedule, the GDC members share their enthusiasm for song to area shopping centers and businesses, as well as nursing, assisted-living and group homes in an active outreach program. 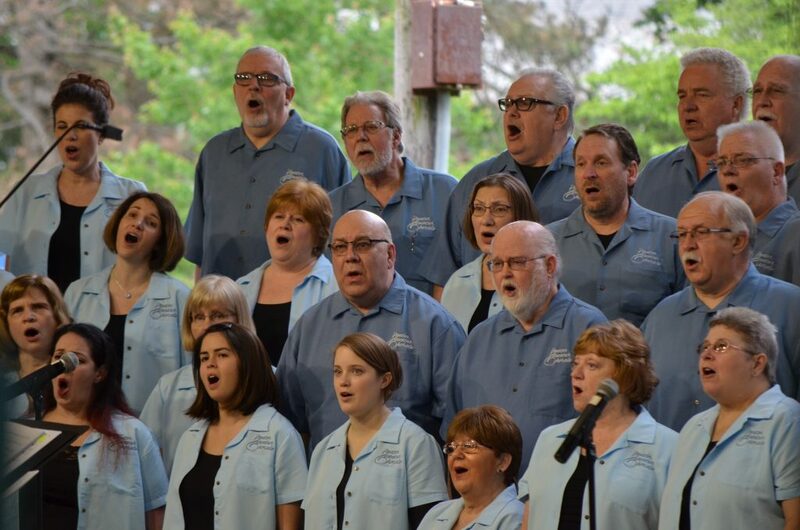 The Greater Decatur Chorale enjoys a variety of venues and a local following in the greater Decatur area, remaining a chorus that takes great pride in its musicianship while keeping the word “community” first and foremost in its scope and mission. Ted Hesse is proud conductor of the Greater Decatur Chorale. Hesse received his bachelor of music degree in vocal performance from Millikin University and his master’s of music in choral conducting from the University of Northern Iowa. He furthered his studies in music at the University of Minnesota. He has been a church musician for over twenty years and taught at the collegiate level for fourteen years. He is active as a clinician, adjudicator, soloist and conductor.